A profound meditation on personal power and innocent dreams that are manipulated or undone by success, The Winner Stands Alone is set in the exciting worlds of fashion and cinema. Taking place over the course of twenty-four hours during the Cannes Film Festival, it is the story of Igor, a successful, driven Russian entrepreneur who will go to the darkest lengths to reclaim a lost love—his ex-wife, Ewa. Believing that his life with Ewa was divinely ordained, Igor once told her that he would destroy whole worlds to get her back. The conflict between an individual evil force and society emerges, and as the novel unfolds, morality is derailed. Meet the players and poseurs behind the scenes at Cannes—the "Superclass" of producers, actors, designers, and supermodels, as well as the aspiring starlets, has-been stars, and jaded hangers-on. 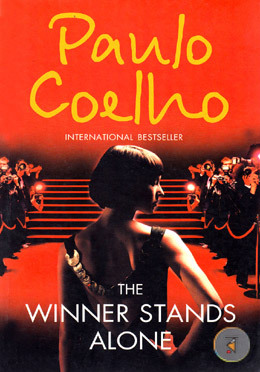 Adroitly interweaving the characters' stories, Paulo Coelho uses his twelfth novel to paint an engrossing picture of a world overrun by glamour and excess, and shows us the possibly dire consequences of our obsession with fame.